In its Saifi locale, Geek Express transitioned from a popular and sub-culture platform for collectables to an exhibition gallery celebrating the artistry of illustration, comic, pop and street art by established and up-and-coming artists. The one-of-a-kind Beirut space needed a new logo that expressed the more established identity and purpose, as the previous bubble-comic logo became more of a novelty. 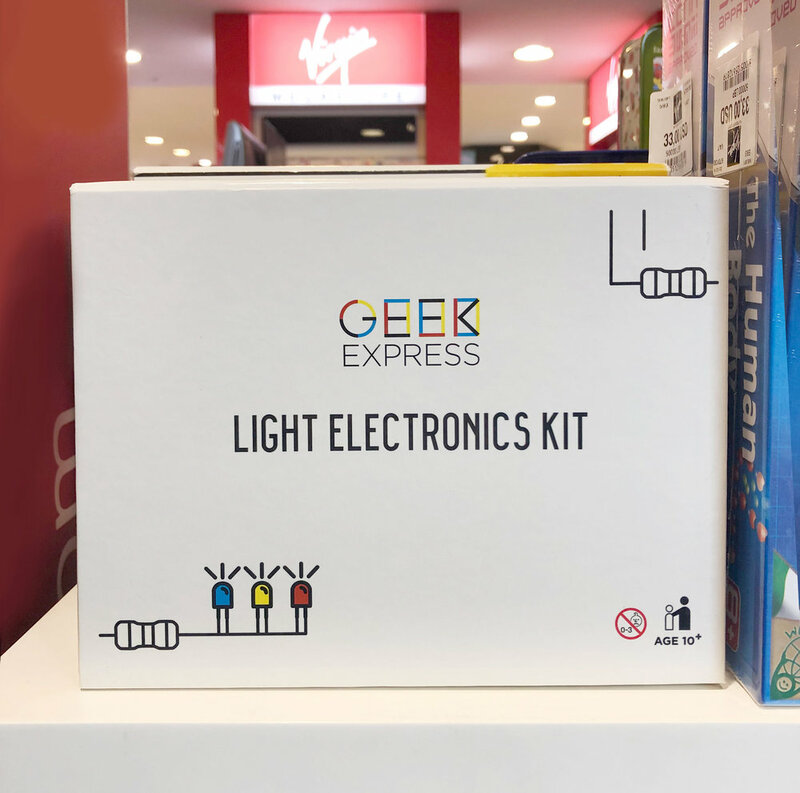 With a shift of mission also in mind, Geek Express has since become an academy offering kits and workshops for kids and teens in Coding, Engineering, and Technology. The new standout identity was developed to be recognizable in black and white as well as in color. -scope Ateliers designed a distinct typographic logo/emblem inspired by angular overlapping formations and primary colour schemes of modernist Art.